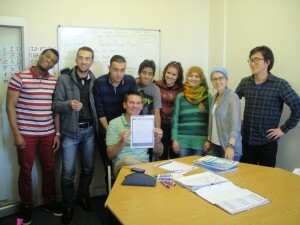 Students from the Global Citizenship Class and the Intermediate 4 Class of EC Cape Town had to do a “green” test on EC Cape Town. They surveyed our eco-friendliness and our care for the environment. 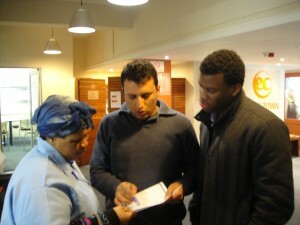 They had to look at our recycling, reducing and re-using capabilities. 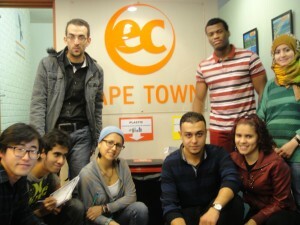 They also had to ask some “green” questions to our staff and afterwards they had to give EC Cape Town a “green” score. They suggested a score of 70%! Suggestions for improving our environmental awareness were set as homework. Intermediate 4 students and Hardie with the verdict. 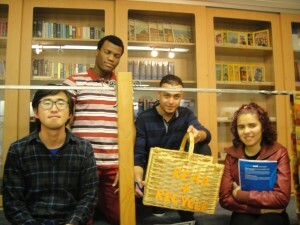 Students in front of the main recycling area on the 5th floor. Theresa is responsible for the actual recycling. 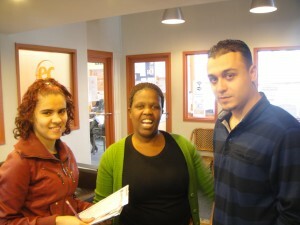 Dr. Baleel and Americo asked her about separating the garbage. Andiswa is also responsible for separating the actual garbage. 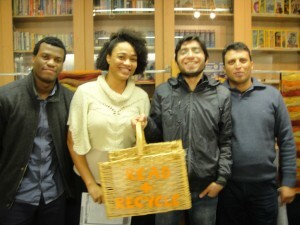 Jessica and Kareem asked her about the handling of “food waste”. America and HoYong asked some “green” questions to Nicoletta, our DOS. According to the survey Nicoletta is the “greenest” person at EC. She drives a small, eco-friendly car and she teaches her child to recycle! An organic basked where students could place books which they had already read. 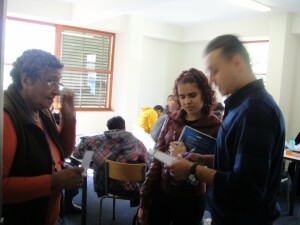 Tareq, Haithm, Alexandra and Iztehar asked Claudia some questions. 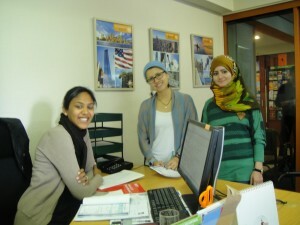 Claudia is responsible for the environmental awareness at EC Cape Town. 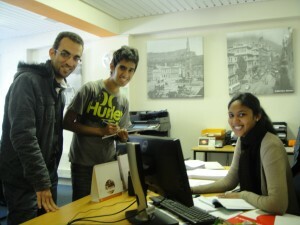 Kareem and Jessica found a “green” notice at the photocopier. Jessica and Kareem asked Teacher Una if she switches off the lights when she leaves the classroom!